Our employees are hard workers, who are committed to the community and convey their positive experience to our visitors and residents by turning out a consistently high standard of service. We are very proud of our success in creating a work environment that not only values a balanced approach to work and life, but, actively demonstrates how to achieve that balance. 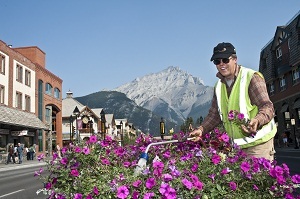 This will be the most breathtaking place you experience in your life and we want the Town of Banff to be the most memorable work experience of your career. We look forward to a rewarding relationship and encourage you to take every opportunity to maximize your experience in the Bow Valley, both at work and outside of work.